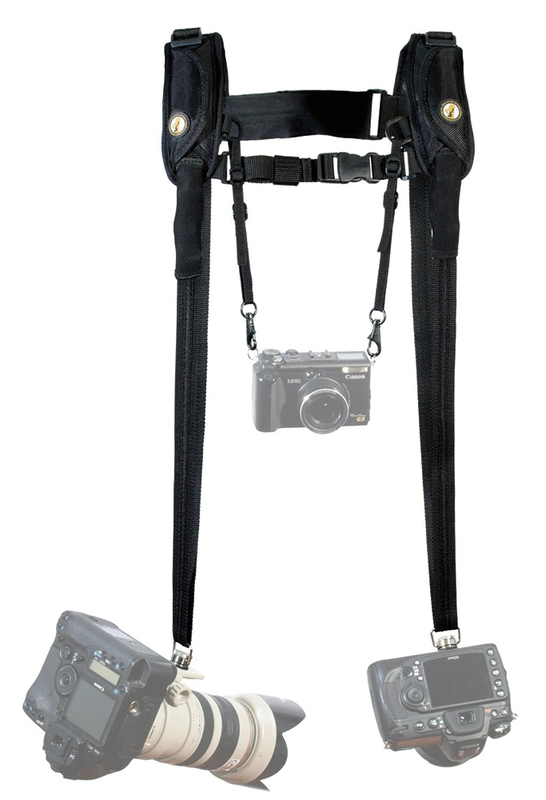 There’s no shortage of camera straps for carrying more than one camera at a time, but the MoneyMaker from HoldFast isn’t your average camera harness. Made from high-grade leather with metal buckles and fittings, it has a high-end premium finish to match its stylish looks and is available in no fewer than 12 finishes, including ‘water buffalo tan’ as illustrated in this review. Setting up the harness is quick, and after throwing the MoneyMaker over your shoulders, a pair of HoldFast screws are attached via the tripod thread on your camera before they’re secured either side via extremely robust metal clips – the same kind of clip used to safely secure sails to sailing boats. The clips are designed to allow cameras to move freely up and down the harness, letting you pull the camera up to your eye. To prevent the release pin from being accidentally pulled and thus avoiding a costly camera set-up crashing to the ground, each clip has a strong nylon safety catch that attaches to the left-side lug of each camera. It’s a harness that leaves you with the impression that it has been meticulously thought through, with no expense spared. HoldFast screws attach via the tripod thread and are secured with metal clips. 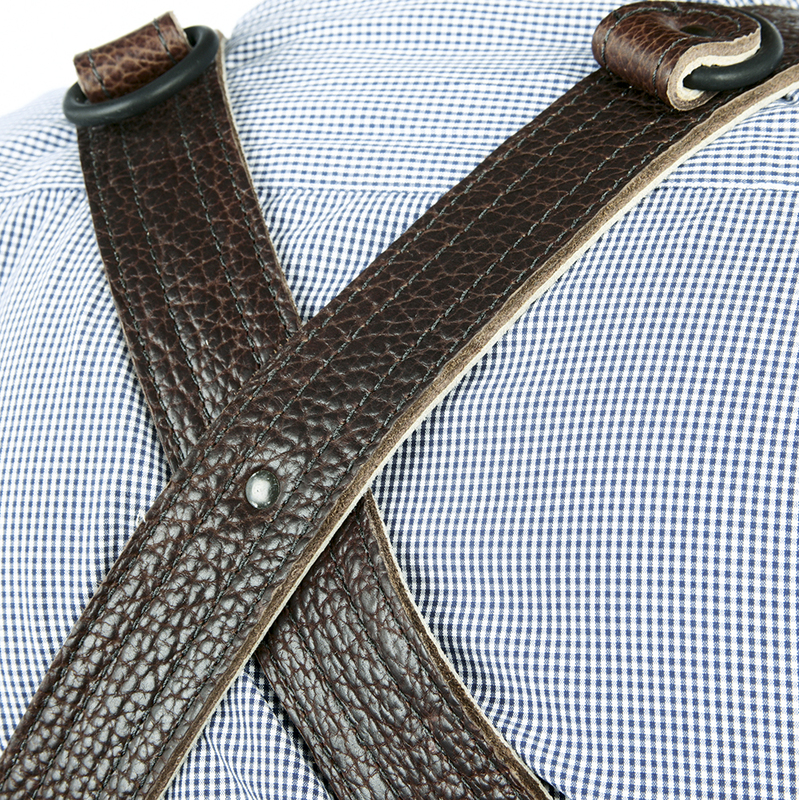 The harness is made from high-grade leather in 12 finishes, with metal buckles. Having used the MoneyMaker for 12 hours straight at a wedding, I can say it’s one of the most comfortable dual camera harnesses I’ve used and I wouldn’t hesitate to recommend it. Balancing a heavy DSLR off each shoulder resulted in no back pain whatsoever, and having a pair of cameras to hand with different focal-length lenses attached prevented many missed opportunities. 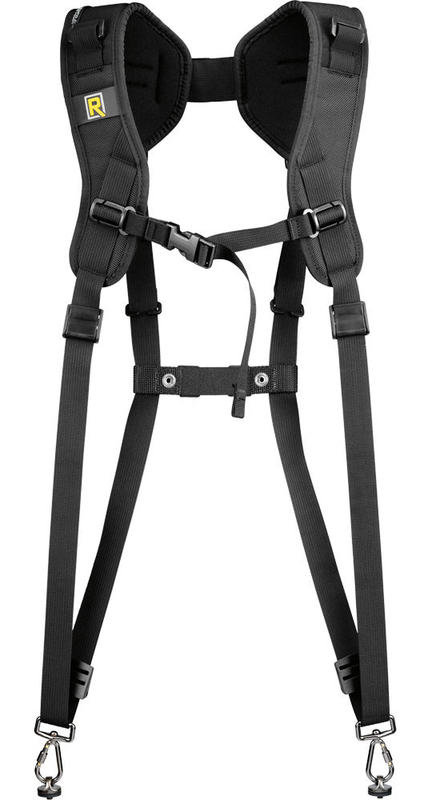 It’s more expensive than the popular Black Rapid Double (DR-1), but it’s a price I’d be more than happy to pay to own a stylish, safe and comfortable harness. 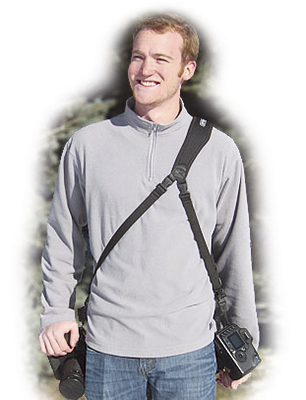 The Black Rapid Double lets you carry two cameras by distributing the weight across both shoulders. Made from ballistic nylon, it features thick foam padding and is available in ‘regular’ and ‘slim’ sizes. 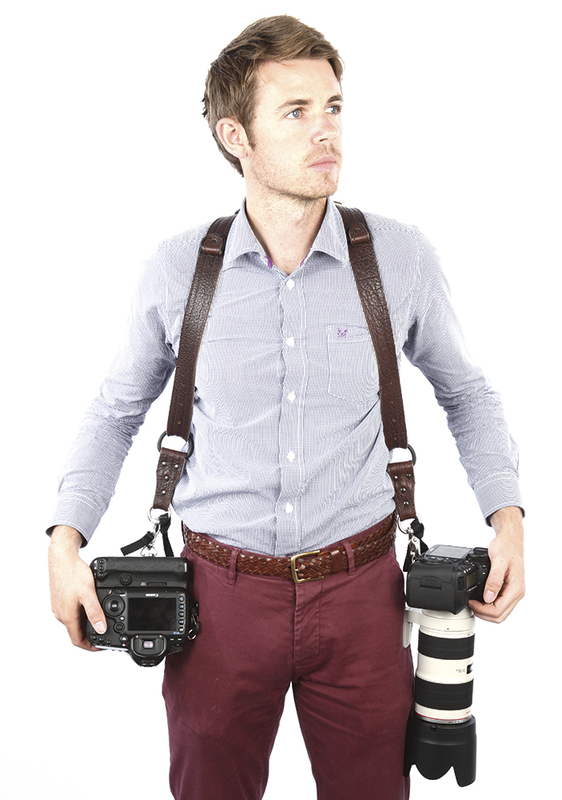 Designed for press, wedding and sports photographers to carry a pair of DSLRs, the Double Plus Harness is also supplied with central straps to carry a compact camera or pair of binoculars. 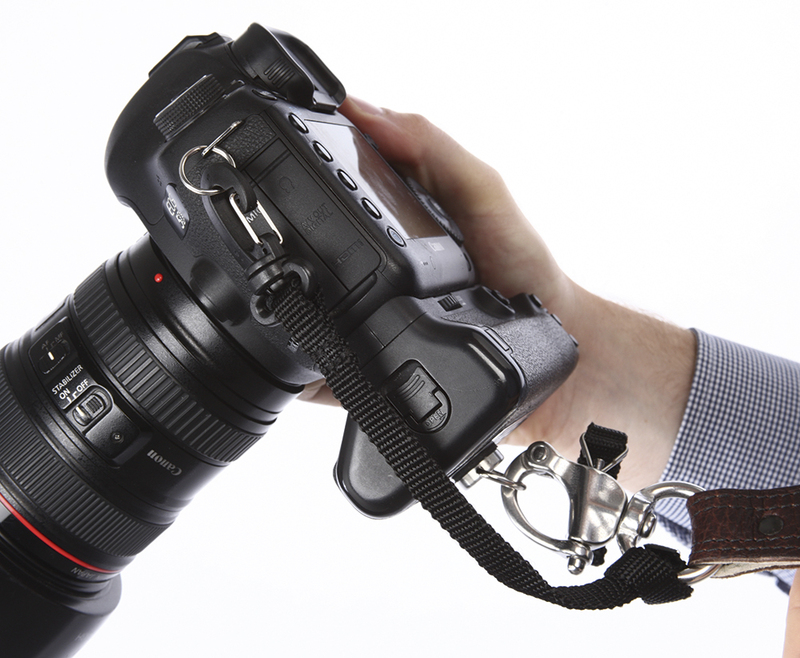 This sling strap from Op/Tech is worn across one shoulder and offers quick access to two cameras. It’s designed in a way that allows the cameras to glide up and down the sling without interfering with a camera’s tripod connection.